Single-ply dotted marking paper has a smooth, bright white surface with a 1" high contrasting dark blue number guide. Yea, I love the product, that is why I ordered it a second time, but the type of packaging and shipping company do not do this product any favors. 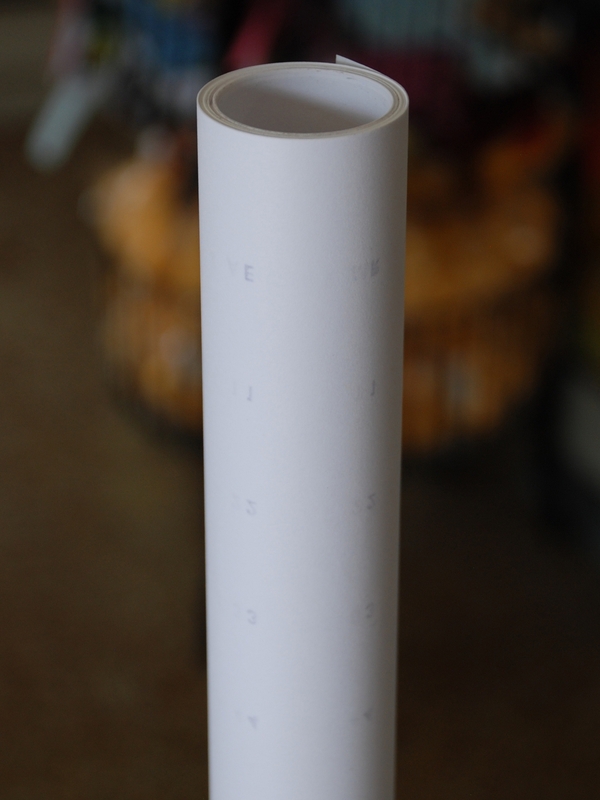 Since there is not cardboard rod through the center of the roll for support and protect against damage from shipping, when it arrived and I pulled it from the box, it looked like an accordion. So now, when I use it, any piece cut from the roll must be ironed and even still, does not remove the heavy creases. And when shipping costs 3 x’s the cost of the product.... needless to say, I think there could be a better way to package and ship it.